Can Dogs Eat Grapes or are they really toxic to dogs? Vet approved! Can Dogs Eat Grapes or Raisins? Absolutely Not! Many people who own dogs just feed them almost any type of food. However, some human foods should never be offered to dogs, and these include grapes. Over the years there have been numerous reports indicating that grapes and raisins (dried grapes) may be lethal for dogs. Current reports indicate that even small amounts of grapes or raisins can prove to be fatal. Why can’t dogs have grapes? Because grapes are toxic to many dog breeds, regardless of gender or size; why grapes are toxic to dogs remains a mystery. The actual ingredient in grapes, which causes toxicity, is not known. For a while, it was believed that it was the actual grape that was toxic, but over the years, it has become well known that some grapes are contaminated with insecticides, pesticides, weed killers and other environmental toxins (e.g. heavy metals). There is also suspicion that fungi or viruses may be growing on rotten grapes that may be causing the toxicity. Almost all types of grapes have been known to cause toxicity in dogs. What is known is that once the dog ingests the grapes kidney failure develops. There are some dogs that are supersensitive to kidney failure, and yet there are others whose kidney function remain intact and still die. The reason for this discrepancy remains unknown. How many grapes are toxic for dogs? There is very little literature on the number of grapes that can cause toxicity in dogs. It should be understood that grapes are toxic to some but not all dogs. No one has ever conducted a study to determine which species of dogs is more likely to die from grape ingestion, but it is safe to say that grapes should be avoided in all dogs. Even though animal control agencies state that eating more than 32 grams per kg body weight is toxic, other experts state that even a tiny amount of grape or raisin ingested is harmful to dogs. The number of dogs that have died from grape or raisin ingestion is also not well known. The reason is because autopsies are never conducted on most dogs, and many dog owners never bring their dogs for medical care. Data from animal control centers indicate that there may be anywhere from 50-300 dogs a year dying from grape or raisin ingestion. These numbers are gross underestimates because no one knows the cause of death in dogs living in the wild or the streets. Why are raisins even more dangerous? Raisins, sultanas, currants and other products containing raisins are another no-go for dogs! Sultanas are of more of a concern than grapes as they are dried. Thus they are more concentrated. What are symptoms of grape toxicity in dogs? Profuse vomiting and diarrhea. One may notice that the vomitus contain undigested grape-like material. Gradually appear lethargic, weak and become very quiet. What is the treatment of grape toxicity? The treatment of grape toxicity begins in the home. Once you recognize that the dog is unwell or has ingested grapes, it is important to seek immediate medical help. If you are sure that your dog ate raisins, currants, sultanas, or other foods that contain raisins, then you must induce vomiting right away to prevent any toxin from getting absorbed via the intestine. To induce vomiting, try giving one teaspoon of 2% hydrogen peroxide per 5 pounds body weight; take note that no more than 3 teaspoons of the solution should be given at once. If the dog fails to vomit, repeat after ten minutes using the same dose. Do not attempt to give hydrogen peroxide any more than three times. If the dog fails to vomit after the third attempt, it is a good idea to take him to a vet rather than risking more serious complications. If the dog does vomit, observe what has come out and do not induce more vomiting. The dog still needs to be taken to the vet. Another alternative treatment is the use of activated charcoal. There are some astute dog owners who keep activated charcoal at home. This powder can be mixed with water to produce a slurry and given to the dog. Activated charcoal binds to any toxin in the stomach and prevents its absorption in the blood stream. 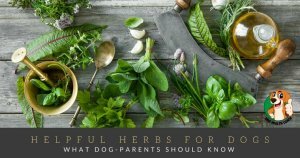 You should never induce vomiting or administer activated charcoal to a dog that is lethargic or unconscious, as this may lead to aspiration of stomach contents into the lungs, which can be fatal. If the dog is lethargic and unresponsive, do not attempt to induce vomiting at home, but rush to a veterinary hospital ASAP. Grape ingestion is an emergency. The dog will be resuscitated with intravenous fluids, given oxygen and blood work will be obtained to determine the cause of shock. If renal failure is present, the blood will show elevated levels of blood urea nitrogen (BUN) and creatinine—these parameters are usually monitored to ensure that recovery is occurring. If you have already attempted treatment with activated charcoal, it may not be done again. It is important to understand that activated charcoal only works if given within 60 minutes after grape ingestion. Once the toxin is absorbed into the blood stream, activated charcoal treatment is futile. Many vets choose not to administer agents that cause vomiting to prevent any incidence of lung aspiration. However, if the dog is critically ill, it may require mechanical ventilation. A tube may be placed in its stomach and then lavaged with saline to get rid of the toxin. In most cases, intravenous fluids and close monitoring are required for a few days. Sadly, in some cases, the dog may have developed multi-organ failure, and in such cases, euthanasia may be the best option. While grapes and raisins are harmful to dogs, there are many other fruits that you can give to your dogs such as apples, bananas, berries, and cantaloupes. Always wash the fruit and remove the skin and seeds before you feed the dog. If you are ever in doubt about the fruit, check our infographic on foods dogs can and can’t eat or speak to a veterinarian first. 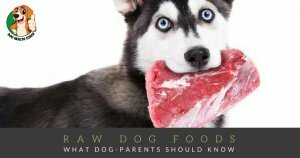 To find out why onions are toxic for dogs, what salt toxicity in dogs is and about other foods dogs can and can’t have, click the links and please let us have your thoughts.